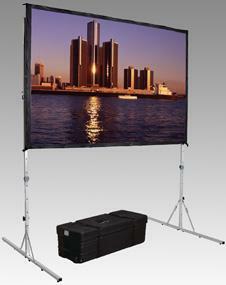 Da-Lite's Fast-Fold Screens give professional presenters the edge on the road. 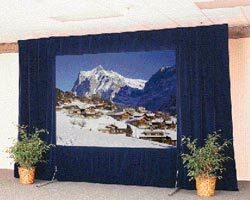 Fast-Fold Screens and Portable Projection Stands are made to take the rigors of constant set up and tear down yet retain their good looks and performance for years. All Fast-Fold products set up easily without tools for the ultimate in convenience.